Lemax Snowball Fight! Figurines Set of 3 depicts a group of three youngsters enjoying fun with snow in a wonderful Winter scene. A delightful Lemax Vail Village themed figurine set which joined the Lemax collection in 2014. 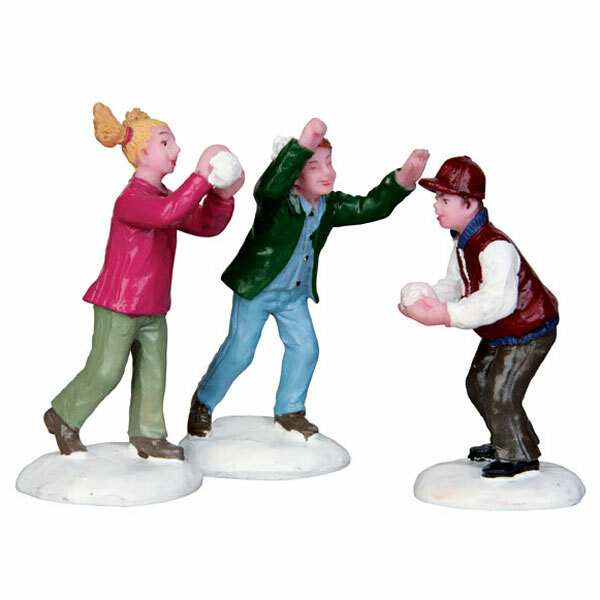 Comprises three delightful individual hand painted polyresin figures on three individual snowed bases to compliment your seasonal Lemax Village Christmas display.